Today, I finalized a deal with NBC Sports to sell them my Talk-Sports.net website. It should be a good deal for the users, I know it was for me ;-) NBC plans on rebranding the website in the coming months. Likely candidates include GiveMeSports.com. I'll continue to manage the website for the next months until we can transfer the hosting and domains to NBC. Once the hosting and domain are tranferred, NBC plans on neglecting the website and eventually turning it off without notice. I just added forums for every single KHL players. Top 20 players (2 goalies, 6 defensemen, 4 forwards at all three positions). Note the last two right-wingers are there solely to fill out the right wing position. 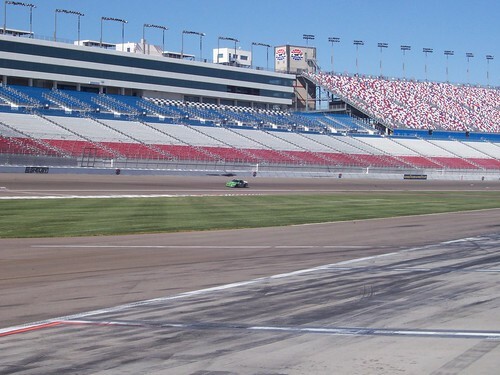 360 video inside the Las Vegas Motor Speedway. You can see my RV. 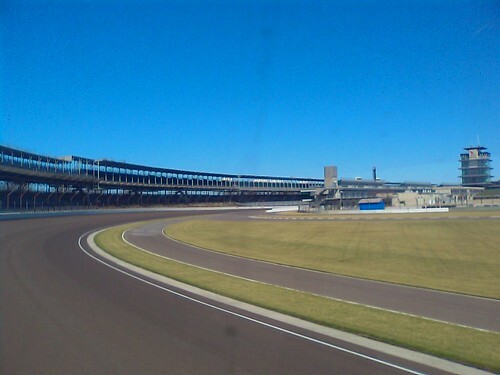 About thirty-minutes later, I was in a NASCAR car going 165 MPH around that very track. The Ducks come on the ice prior to the home game against the Canucks earlier this month. I video taped this last month while playing NASCAR 09 on my PS/2 and HD big screen (update: that wasn't my HD). Jeff Gordon repeatedly bumps his car into the pit wall. 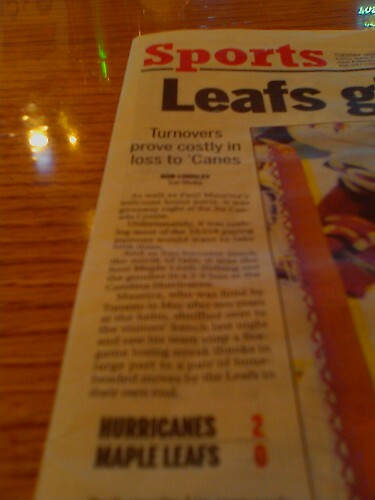 I feel I have to explain hockey to the people who write for the local Toronto newspapers. Check out this moronic article written last month. Sorry, for the bad picture. You just need the headline and score to get the point. So the Leafs lost because they turned over the puck? I don't think so. The Leafs lost because they scored zero goals. Every NHL team turns over the puck every game and many of those turnovers will lead to goals. That's hockey! A great team limits their number of turnovers, but still turns over the puck. Regardless, it doesn't matter how many times you turnover the puck when you don't score any goals. If you don't score, then you lose. The turnovers weren't costly. The lack of goals cost them the game. Period! Send this sports writer (Rob Longley) back to hockey school. 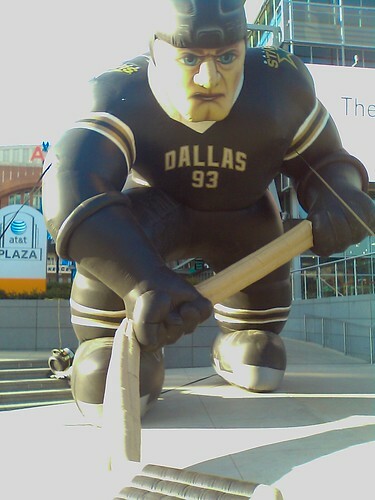 I wonder if he owns skates? 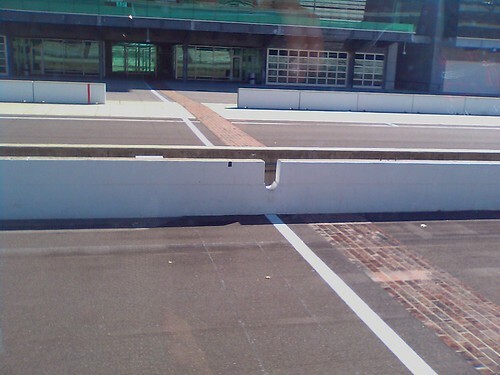 Last week, my family visites the Indianapolis Motor Speedway. This is a must visit for any racing fans. 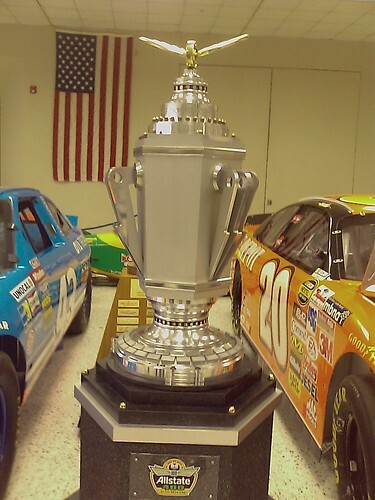 The racing museum is $3 for adults and $1 for children. They also have a shuttle tour of the track; also $3 for adults and $1 for children. BTW, if you take the shuttle and want pictures, then sit in the back seat and take the pics out the back window. There's too much glare on the side windows. 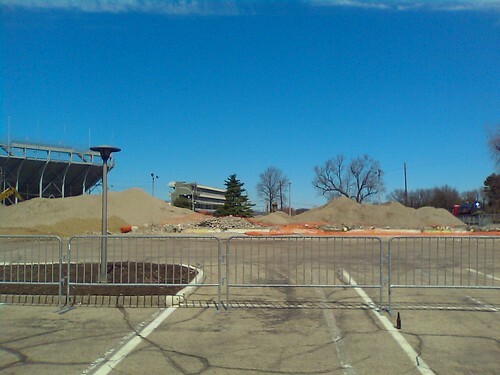 I noticed they tore down the old hotel since I last visited in the fall. 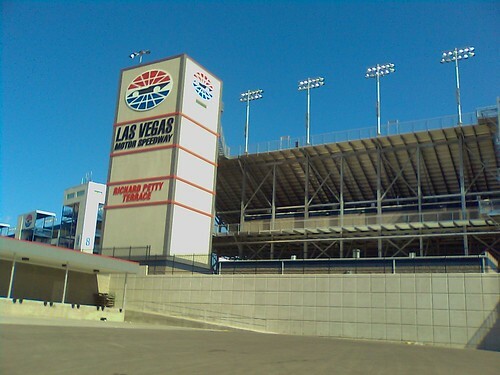 My first destination in Las Vegas was the Motor Speedway. For the third time this trip, the Richard Petty Experience was on site when we visited the racetrack. 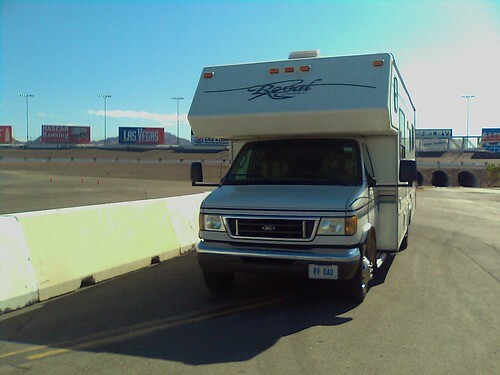 I took some pics from the outside before I realized I could drive the RV thru tunnel into the middle of the track. 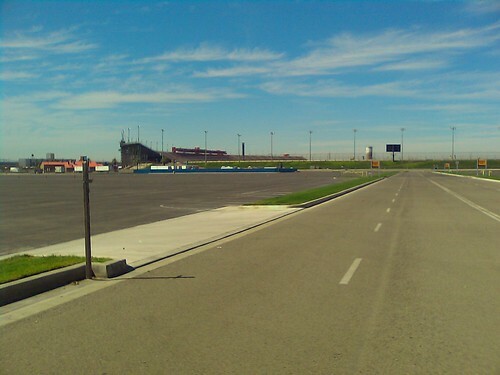 Then I took pictures from the inside until someone told me I could drive right up to the pits. I drove up to the pits and took some more pictures until someone told me I could ride passenger in one of the cars. 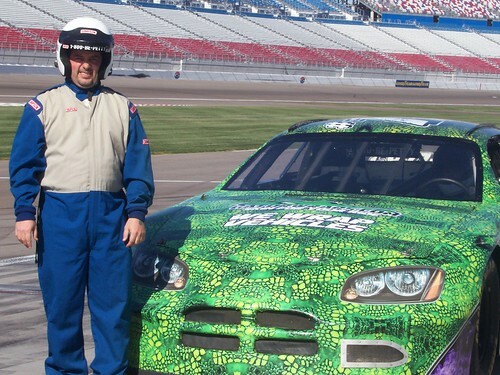 Then I was going 165 mph around the Las Vegas Motor Speedway inside a stock car. WOOT! Next time I'm thinking I'll drive, instead of sitting passenger. 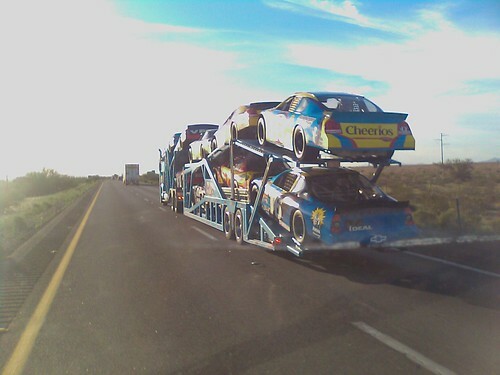 Richard Petty Racing Experience runs at 18 tracks across North America. For 109 dollars, you get to experience speed first hand. We had our choice of Ducks games to go to, but we chose Vancouver next Wednesdaybecause we wanted to see Sundin. I got three tickets from StubHub for 9 dollars each, plus about 20 in handling charges. Not bad for tickets that would otherwise cost hundreds. The tickets arrived a few days later, we had them delivered to our campground. I paid with my PayPal account. We paid 15 dollars to take a taxi to the game. The taxi was 30 minutes late, so we arrived only 20 minutes before the game, which is late for us. 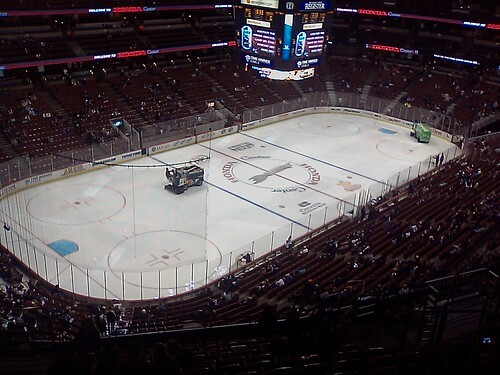 The Ducks were killed in the first 10 minutes and saved by their goaltender, Hiller. The Ducks took a two goal lead on bad giveaways. The Canucks tied it in one minute. The Ducks took another lead. The Ducks appeared to take a 4-2 lead, but the refs called a phantom goalie interference penalty. The concessions ran out of cotton candy, Firestone beer and possibly other stuff, causing extreme lines. I wanted one of their 1/2 pound dogs, but gave up after sitting second in line for 5 minutes. The Canucks scored and put the game into overtime. In overtime, Scott Niedermayer won it on a partial break. Great game. We went to JT Schmid's after the game. 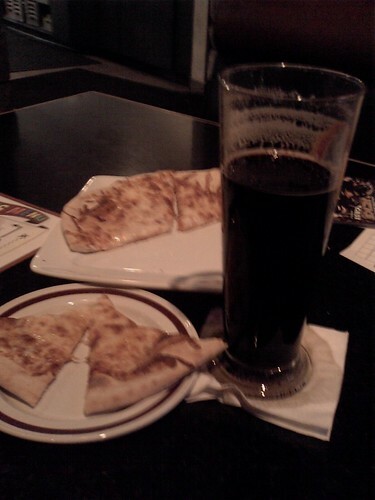 They had a great stout beer. 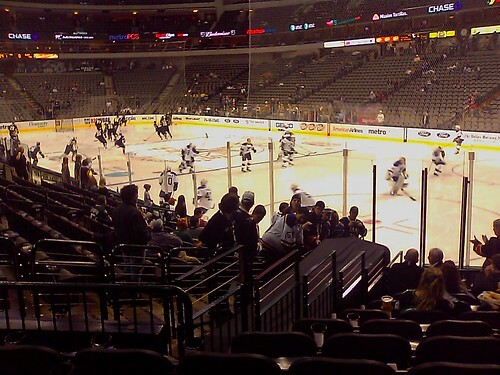 We bought tickets on StubHub the night before the game. 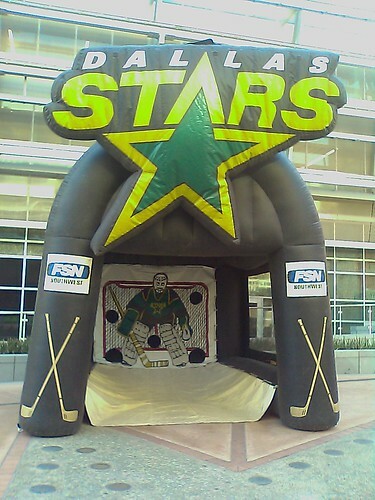 We waited at the StubHub office in Dallas to pick them up. The tickets were late by a few minutes. The tickets cost 34 each, plus 20 in service charges, totalling about 90. The tickets were 99 each at the gate. 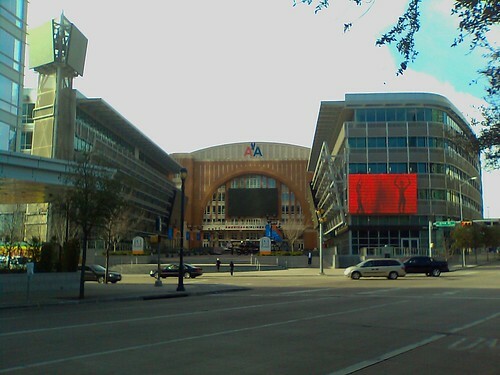 Before the game, I also visited the JFK assassination site which is slightly south of the American Airlines Center on the same street. 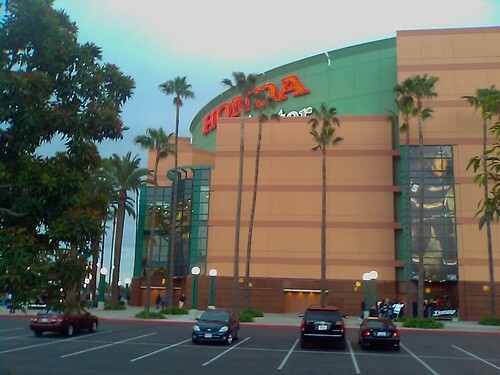 Immediately before the game we hung out in front of the arena and at the attached Chilis restaurant. Great restaurant. 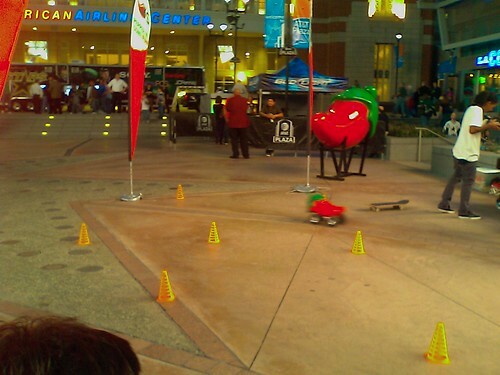 The restaurant and event had games out front, like NHL 09 for PS3, remote cars, air hockey and target shooting. We got 10 in free credits at Chilis. 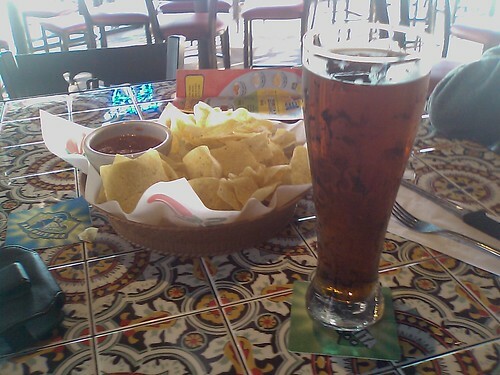 Unfortunately, we had already eaten at Chilis. 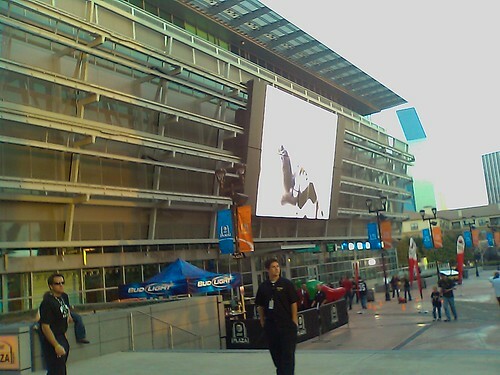 Also infront were two large moving screens (20 feet tall) playing highlights and ads. 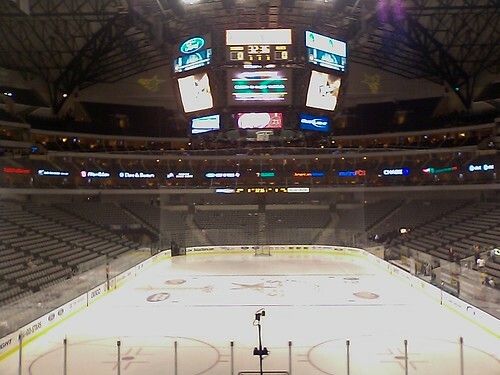 The arena is spectacular. The seats were great and included a free program, which unknowingly we had already purchased. The roaming beer vendor had a bock beer (I think it was Steiner Bock). Very good! The game was great. Chris Mason stoned the Stars and Marty Turco played subpar, including an assist on the first Blues goal. My son really enjoyed the game. It was a 55 dollar cab ride each way to and from the campground in Arlington. 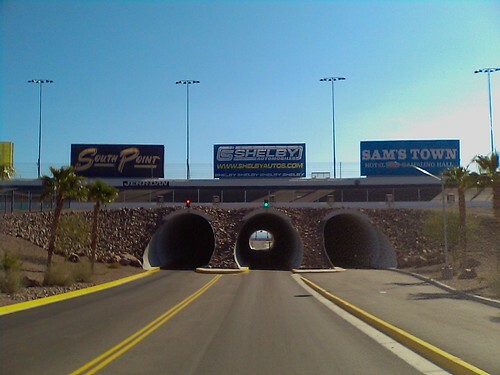 Last week our family visited two NASCAR racetracks in 24 hours. 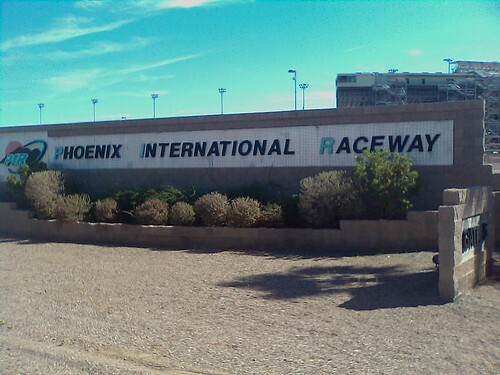 The first was Phoenix International Raceway. 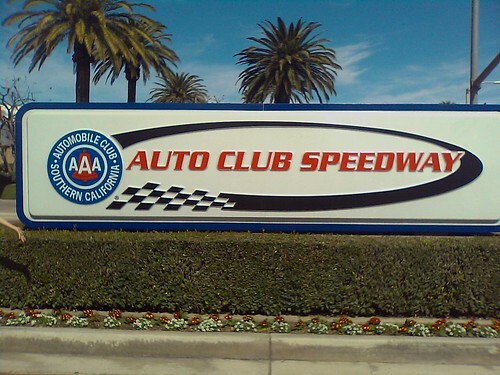 Then we saw the AutoClub in California. We didn't go into either, even though Richard Petty Racing Experience was happening at both. 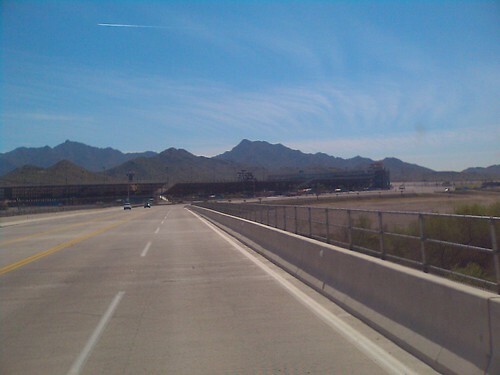 In fact, the Racing Experience crew past us on the I-10 highway going from one to the other.